How social is your content? In other words, aside from visitors showing up to your blog, how often do they click “Like,” Tweet it, add to their bookmarks? Google wants to know. This past June they added Social Interaction metrics to Google Analytics. Why? The one big question businesses have about the social side of web marketing pertains to reliable metrics, which Google is attempting to do by quantifying the activity of socially engaged users on your site. Before, you could evaluate this through the events tracking function. The problem, though, was that it lacked consistency, making it difficult rate performance with any real accuracy. Social Interaction metrics changes that, though, with a consolidated linking of social media performance, which is tracked through the plugins on your site. To further standardize this process, Google partnered with Delicious, Digg, Gigya, Reddit, and several others, as well as with social sharing aggregators AddThis and ShareThis to align themselves for even greater tracking consistency. 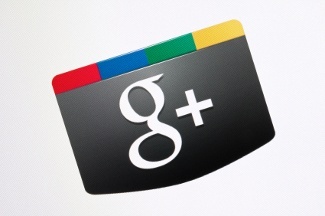 Naturally, Google+ is already in the fold. The big three—Facebook, Twitter and Linkedin—are not. Still, that doesn’t mean you can’t track their social activity. Google has a dedicated page for developers that outlines how to manually configure each of these social buttons. Once this is done and activated, it may take a few days for data to populate, but once it does, there are three basic reports that can be run: the Social Engagement Report, the Social Actions Report, and the Social Pages Report. The Social Engagement Report contrasts visitors who engaged with the page (shared, bookmarked, liked it) against those who did not. The intent behind this is to determine, of those coming to your site, who’s really engaged with what you have to say. The Social Actions Report indicates how many visitors clicked on a social sharing button for a page over a set time period. This also allows companies to analyze their content’s performance against criteria such as time spent on the page and demographics, which ultimately are indicators of what’s working on your site and what’s not. Lastly, there is the Social Pages Report. This provides data on which site pages received the most social sharing activity over a set time span, which will help companies know what content is more valuable to readers versus others. Keep in mind that if you track e-Commerce in Analytics, there is no tie between this and the new social tracking as of yet. However, it does tell companies which social media platforms their readers are the most active on. This is a big deal when you find out your target customers prefer to utilize Linkedin while you’re running PPC campaigns on Facebook. Finally, you might be wondering why the social performance of your site’s content is so important, especially if it is performing well otherwise. Google’s goal is to provide users with the best content on the web, and what better criteria is there for doing this then pulling the content that people interacted with the most? So, if people are sharing and tweeting your competitor’s blog posts, and not yours, who do you think people will find first? Who do you think they will want to buy from? Want to know how to make you content more social?